Social media influencers are people within a specific industry of whose opinion and interests are highly regarded. These people can be found all around the world and come in a variety of forms, such as industry experts, celebrities, journalists etc. In contemporary marketing, the buzz around influencers is huge and the importance of engagement with industry specific influencers is paramount. The potential impact an influencer can have on the exposure, credibility, SEO and ultimately the success of your organisation is enormous. With this present-day take on personalised PR, marketers are being pushed to actively seek out and establish relationships with influencers that are likely to promote and amplify their brands messages, resulting in more exposure and therefore higher traffic to their website. This highly effective method has become common practice within modern marketing, providing a long term strategy for building and managing credible, long lasting and established relationships with industry influencers. A question to be asked is how can your brand effectively develop these relationships? Start by asking yourself what would the influence mean to your organisation, how would you identify them and where would you even start with contacting them and developing that all important relationship. Reach – Do they have the ability to reach the amount and type of consumers you want exposure to? Resonance – Is the influencer posting and producing content valuable to your target consumer? Relevance – Is the influencer’s content relevant to your brand and useful to consumers? These 3 factors are more commonly known as “The Pillars of Influence”. Remember when defining your influencer to be very specific and fully understand the role of that individual or group. For example, just because they are extremely influential in one area, it doesn’t automatically push their influence into separate segments. Once you have defined who you are going to target, your job is to now create a section or list of influencers. 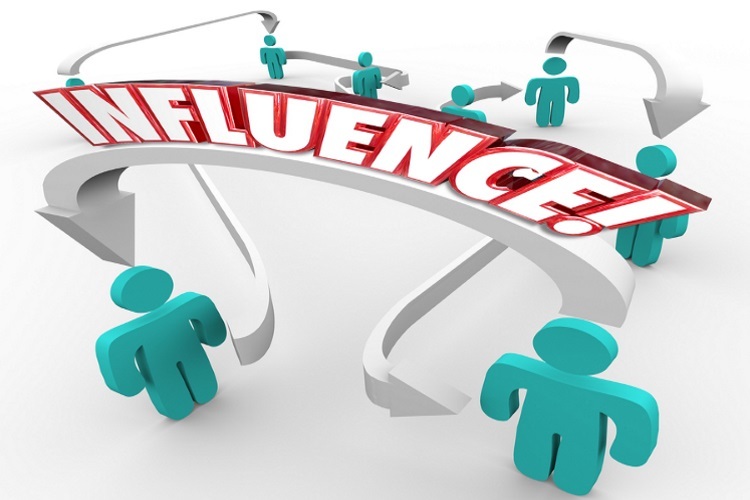 When identifying your influencers, remember to follow the previously mentioned “Pillars of Influence”. This filtered results page provides a great way of screening users in terms of followers, following, engagement, Kred score and much more. From here, selected users can be compiled within unique lists and organised into specific industry sectors. How Best to Engage With Them? Andrew Davis came up with the social media 4-1-1 notion. Put simply, for every 6 pieces of content shared from your social media account, 4 should be content from your influencer list, 1 should be generated yourself and 1 can be promotional. The main thesis of this strategy is that general interaction with your influencers, without direct promotional activity toward them, is a great way to get noticed. Sharing content, replying to posts or retweeting articles written by them are all valid methods of introducing a new relationship with your influencer, but remember not to come on too strong otherwise you will look like a spammer. A great way of keeping a dialogue open is to occasionally ask questions regarding content they have been posting, making sure it can be easily answered within the character limit and without great effort. If you are at any point running a campaign that would be of definite interest to that influencer and provide them with either an interesting read or valuable knowledge, then there is no harm in contacting them to let them know about something you are working on. Ask for their professional opinion or an insight into the campaign. Do all of this without directly asking for any form of link or connection to your website, as you are trying to establish a valid relationship with them before any queries are made. Make sure you are taking part in and becoming a key member of any form of online community relative to your specific industry or niche topic. This is a great way to not only find new influencers, but to become recognisable by current influencers and gain as much exposure and credibility as possible. Throughout this whole process, ensure you are constantly monitoring and listening to your influencers. Get to grips with what their current activity is, how they are feeling and what offline activity they are currently taking part in. From here, you can personalise the relationship by offering quirky messages or useful information for them to take a look at. So once the relationship is built and you are confident enough to make the enquiry about any potential connections, it’s time to draft that outreach email. So where do you start? First things first, design your subject line in accordance of what you think will interest the influencer. Try incorporate something entertaining or eye catching that will generate an interest from them and encourage them to read on. Do not use a template! You have not spent weeks building this relationship for the end result to blow the whole thing up. Templates come across as spammy and are most likely going to be scrapped immediately. Make sure you are personalising the content with relevant topics relating to what you have found out about the influencer. If you had previously engaged with them around specific topics, then introduce the email with something new about that, or even mention something you have read recently, on or offline. Next, when coming to the pitch, create a compelling yet brief statement. Influencers are generally very busy people, so don’t create a task for them to do as they will probably get thousands of these emails per day. Get to the point and keep it simple. Also, try to veer away from the word “link” where possible. If you can incorporate “share” or “include” instead this will come across as a lot less pushy and will generally prove to be more effective. Incentives are something that is proven to work too. If the relationship isn’t at the stage of giving out links, then try and generate something that would be mutually beneficial. Avoid paying for links, as google particularly dislikes this form of outreach and may penalise you. Instead, offer something of value to the influencer through social currency. This can range from free gifts, products, assets such as content or even exclusive access to offline events. Finally, make sure you are constantly measuring, analysing and making changes to your outreach style. If something didn’t work for you, try a few different methods until you find your perfect process. Remember, make sure you are doing all of this from a branded email address!